What is automated testing? How to manage it? Software testing is quite a huge topic. Generally, it can be divided into two categories: manual testing and automated testing. Manual testing, by its name, is to execute test cases manually by human hands. Automated testing is to use tools, scripts, and software to execute test cases. The type of testing used in a software development is subjected to factors, including project requirements, budget, timeline, expertise, etc. Usually, test methods used in automated testing are black box testing, white box testing, integration testing, system testing, performance testing, and load testing. 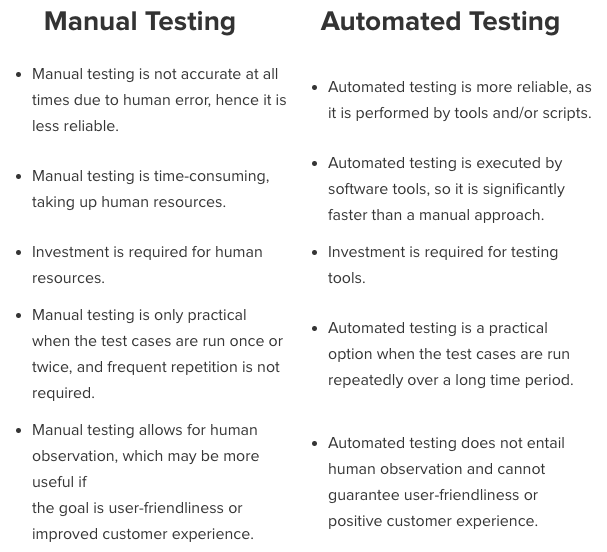 Naturally, both manual testing and automated testing have pros cand cons. Test management tools are used to manage test requirements, plans, use cases, and implementations in software development and to track bugs. Using a test management tools, testers or developers can record and monitor the results of each test and its phases, find out the bugs and errors of the software, and record the bugs found in the test, as well as their advice for improvement. A test management tool makes it possible to reuse Test cases in multiple tests and phases, and test reports can be generated in it. Test management tools can also support team collaborations, central databases sharing, parallel testing and recording, thus greatly improving test efficiency. ZenTao has been rated the TOP 1 test management tool in China, so let's see how it works to make such achievement. You can do regular bug tracking in ZenTao. What is special about bug tracking in ZenTao is that you can set an Assignee for bugs reported in certain module, as there is a tester/developer who is in charge of that module. You can use ZenTao to manage test cases and test suites. After executing a test case, you can record the test results in ZenTao. If the case did not pass the test, you could convert it to a bug. Click Conver to Bug and you will be directed to the page to report the bug. ZenTao is a Scrum tool that is open source and free. It is product-centered, so it will best smooth your product development. Click HERE to know more and start your 180-day free trial. ZenTao 10.2.stable is released! Xuan.im is integrated!